AUSTIN, TX – October 31, 2016 – Chiron Health, Inc., a leading provider of HIPAA-compliant telemedicine and reimbursement software, today announced the company’s increasing momentum as a top integrated telemedicine solution for outpatient physician practices. Chiron Health has made significant R&D investments over the last year to build the telemedicine industry’s deepest EHR integrations, which now include athenahealth, CareCloud, drchrono, Greenway Health, and Kareo. Chiron will be joining these partners, including Greenway Health, to demonstrate its integrated telemedicine workflow at MGMA 2016 in San Francisco on October 30th – November 2nd. This leading healthcare conference hosts a range of physicians and practice managers and showcases best in class solutions that are driving the revolution and modernization of healthcare. In a recent report (Foley & Lardner LLP), the telemedicine market was predicted to reach $36.2 billion by 2020, a 155% increase from 2014. 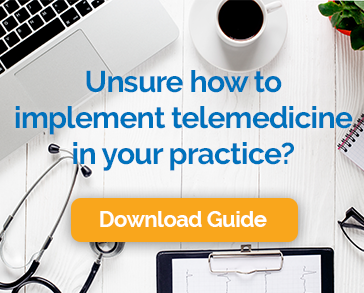 The industry has also seen major shift from on-demand telemedicine services, encounters without a prior physician-patient relationship, to a more modern form of telemedicine in which physicians and mid-level providers connect with their existing patients. Given this increasing demand for telemedicine solutions among outpatient provider organizations, Chiron’s customer base has rapidly expanded over the last year. The company is working with practices large and small across the country, covering a wide range of specialties. Having recently closed an additional round of venture funding, Chiron continues to expand its team, invest in R&D, and bring more customers live.